I've been to a lot of concerts over the years starting with my first one (Depeche Mode / Hard Corps) 31 years ago back in January 1988. All of my initial gigs were in the United Kingdom but having regularly travelled to, and now permanently residing in, Prague (Czech Republic), I've also seen a lot of gigs there. Up until now I had not travelled further afield to see live music - now living in Prague with easy access to travel to other European countries and cities I had planned to change this. 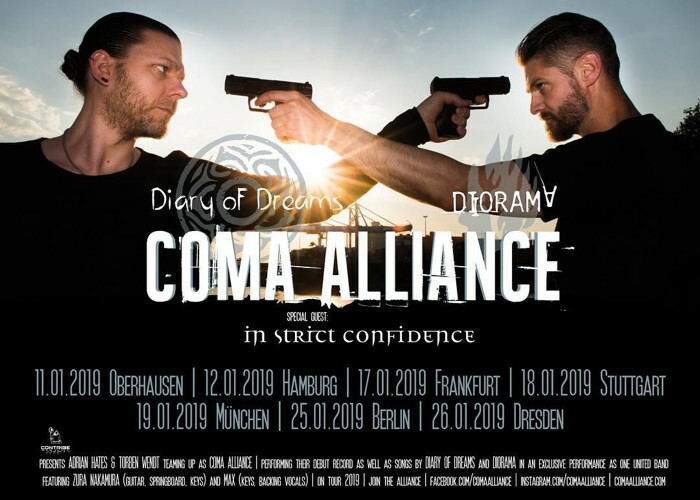 On the 26th January this year (2019) this wish finally became reality when Czech friends of mine invited me to travel to Dresden to see the new supergroup Coma Alliance (the coming together of Diary Of Dreams and Diorama). When I then heard that In Strict Confidence were supporting I had even more desire to go as this is a band I have known about since the 90s and the famous (and personal favourite) record label, Zoth Ommog. Dresden is ~150 kilometres from Prague and my friend Patrik was driving. Five of us loaded into his car at four in the afternoon and the journey began. We travelled through beautiful countryside made even more picturesque by the morning's snow fall peaking at the mountain border and a tunnel that led to the German autobahn (fahr'n, fahr'n). 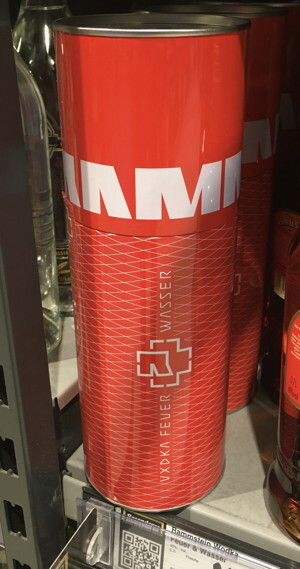 After visiting the amazing deposit return machines which sorted all manner of plastic/glass bottles and tins spitting out a voucher that could be used at checkout, Patrik headed for the beer section - this was just totally crazy to me, why was a Czech travelling to Germany to buy beer?!? (FYI Czechia produces some, if not the best, beer in the world.) Patrik alleviated my fears by grabbing speciality beers not easily available in Czechia. 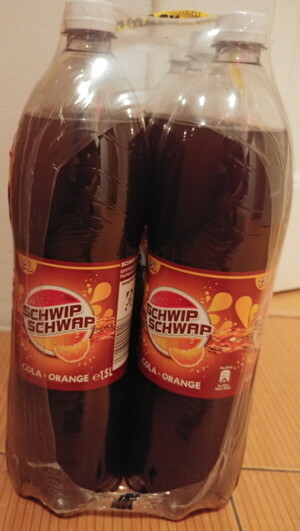 While my friends were shopping I discovered Rammstein vodka on the shelves and then was bewildered to find a Philadelphia soft cheese/chocolate combo and a cola/orange Fanta combo, called Schwip Schwap, in their trolley at checkout. Arriving at the gig was easy and somehow, as equally amazing as finding that a soft cheese/chocolate spread exists, we managed to park right on the street outside the venue. The venue was Strasse E, a large warehouse style, industrial looking building in a dedicated business area on the outskirts of the city. Entering its insalubrious entrance revealed a huge space inside that was a perfect gig venue with a large, visible stage at one end and bars, cloakroom and toilets at the other. It was not long before In Strict Confidence took the stage and they were straight into the good stuff. A three member live setup (Stefan Vesper + Jörg Schelte + Haydee Sparks) with two video screens at the back, Stefan stage right, Jörg in the background on keyboards and Haydee in her prominent outfit brandishing a guitar stage left. Stefan commanded the vocals extremely well and even moved to centre stage for some tracks, getting the crowd to react, move and clap along. I thought In Strict Confidence were really great and was very happy to have finally seen them live after all these years since originally obtaining their Cryogenix album back in 1996. Having not personally heard much of Diary Of Dreams or Diorama but having many people tell me how good they both were, Coma Alliance were something that I was really looking forward to. They did not disappoint! After a short intermission the main act, Coma Alliance, took the stage and Strasse E really opened up its huge, wide space offering Coma Alliance's extremely well produced sound to reverberate around its walls. I was immediately sucked in and spat out two hours later, born again as a new fan of all that is Diary Of Dreams/Diorama/Coma Alliance. Adrian Hates and Torben Wendt (lead singers in both their respective bands) bounced around the stage taking turns as lead vocalist but at times together, as if they were best “bros”. They were clearly enjoying themselves which always bodes well for a great live experience - there's nothing worse than a band/lead singer that doesn't want to be there / is only there for the money - this was clearly not the case here. They played a selection of tracks including most of the brand new Coma Alliance album Weapon Of Choice interspersed with their own Diary Of Dreams and Diorama tracks. Personally, I found the Diary Of Dreams material to be a little stronger, both musically and lyrically, but the whole concert was excellent with not a single bad or boring track! 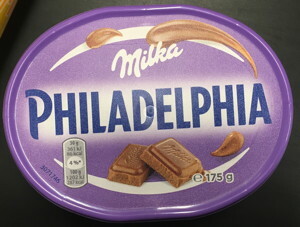 My Czech friends have also pointed out that buying same brand/products in Germany can yield a better product - this was reported last year and the European Union is seeking to ban the practice. This blog post is representative of the blog author's individual opinions and as such any opinions that may be expressed here may not necessarily reflect the views of everyone at CyberNoise or the holding company Burning Helix Limited.